Calgary queer history readers and/or party aficionados might be interested in Third Street Theatre’s inaugural “Stars of the Stage & Screen” gala & costume party on Friday, June 27th at the Arrata Opera Centre at 8pm. All money raised goes to the next production season of Third Street Theatre – Calgary’s only queer theatre company that challenges stereotypes and gives a voice to a marginalized LGBTQ community. Tickets and info: here. We will be reprising our Beltline Gay History Walk on Saturday, July 26th from 7:00-8:30 PM as part of Historic Calgary Week. 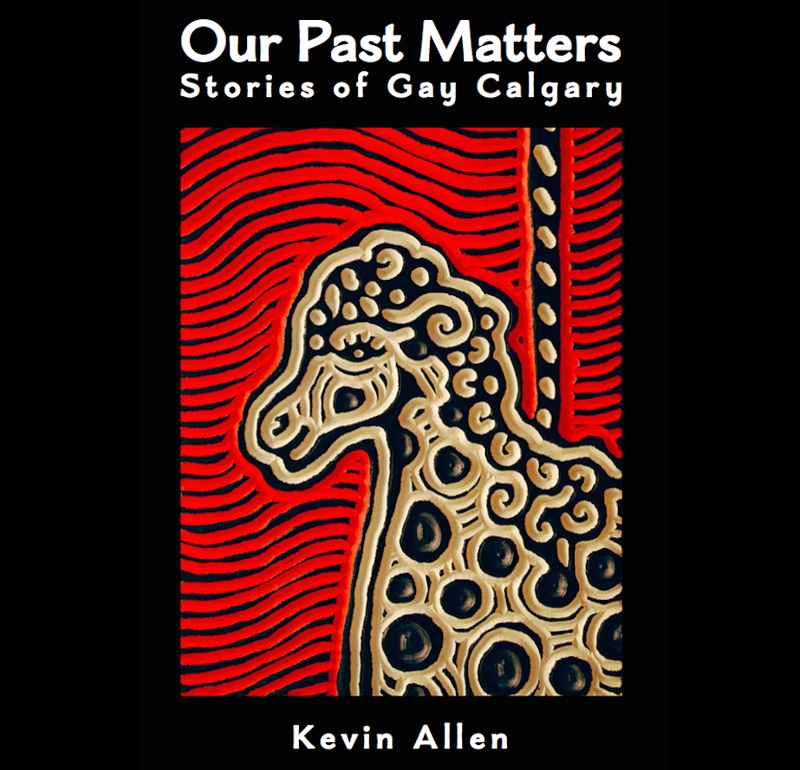 Come out to learn about meaningful spots in our communities history including the location of Calgary’s first gay bar, Club Carousel. The walk will start and finish at CommunityWise (the Old Y) at 223 12 Ave. SW. Usually we head to a Beltline Pub afterwards for more conviviality. Everyone is welcome! Finally, I had lunch this week with an old colleague and friend of mine, Shelagh Anderson, the former publisher of QC Magazine, who now lives in Nova Scotia with her wife and daughter. 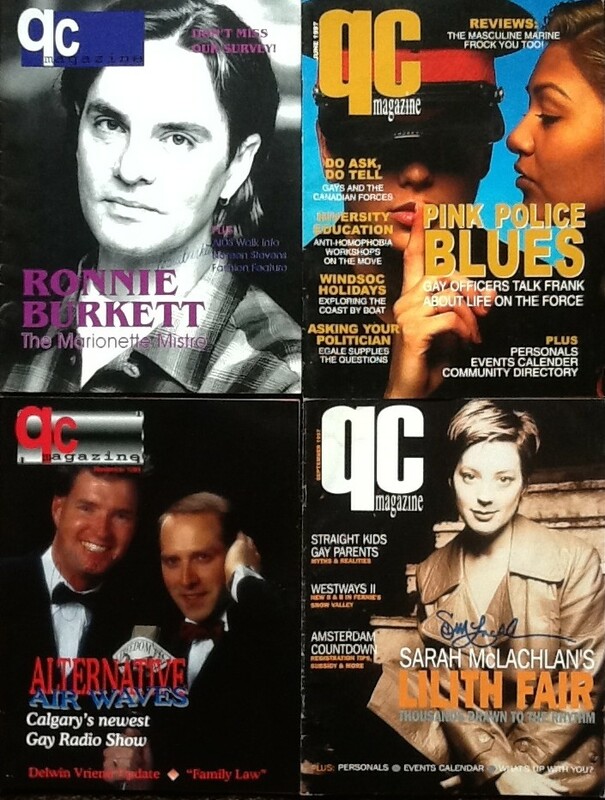 She donated a complete collection of the Calgary based queer periodical which ran for about 3 years beginning in 1995 for the archives we are building. As a bonus: many of the covers are signed by the subjects of the cover story. Thank you Shelagh! This entry was posted in Gay history and tagged Calgary, gay, Gay history, Historic Calgary Week, History Walk, lesbian, QC Magazine, queer, Third Street Theatre. Bookmark the permalink.